Chief Pilot, Dave Mackay, Lead Pilot trainer, Mike ‘Sooch’ Masucci and Chief Astronaut Instructor, Beth Moses, presented their astronaut wings by FAA’S Associate Administrator for the Office of Commercial Space Transportation, Wayne R. Monteith. 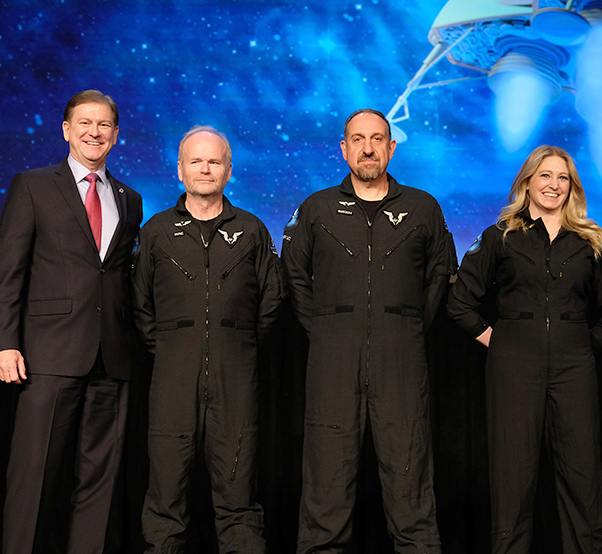 Chief Pilot, Dave Mackay, Lead Pilot trainer, Mike ‘Sooch’ Masucci and Chief Astronaut Instructor, Beth Moses, were presented their wings at the 35th National Space Symposium, where it was also announced that Virgin Galactic and The Spaceship Company are to be presented the Space Achievement Award later this week. 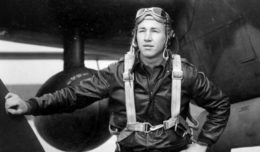 The crew became the 5th, 6th and 7th people in history to receive this honor, and Moses the first woman to earn Commercial Astronaut Wings. The Feb. 22 test flight completed Virgin Galactic’s second spaceflight in 10 weeks and saw the crew rocket into space at more than three times the speed of sound. As the spaceship coasted to apogee, Moses, who became the first woman to fly to space on a commercial spaceship, floated free to complete a number of cabin validation checks. 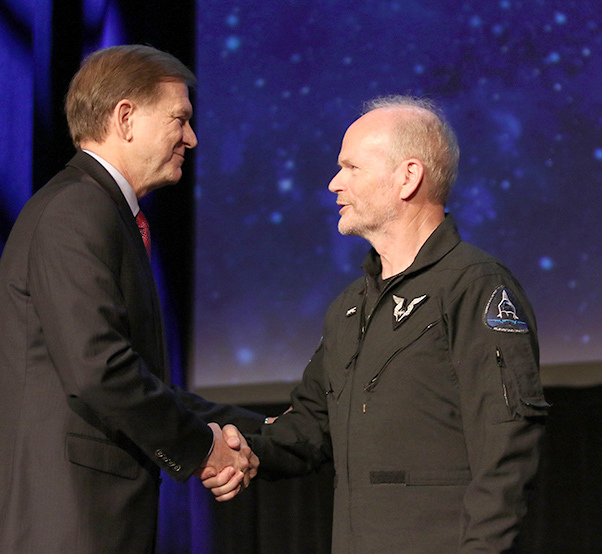 Chief Pilot, Dave Mackay, receives his Commercial Astronaut wings from the FAA’S Associate Administrator for the Office of Commercial Space Transportation, Wayne R. Monteith. 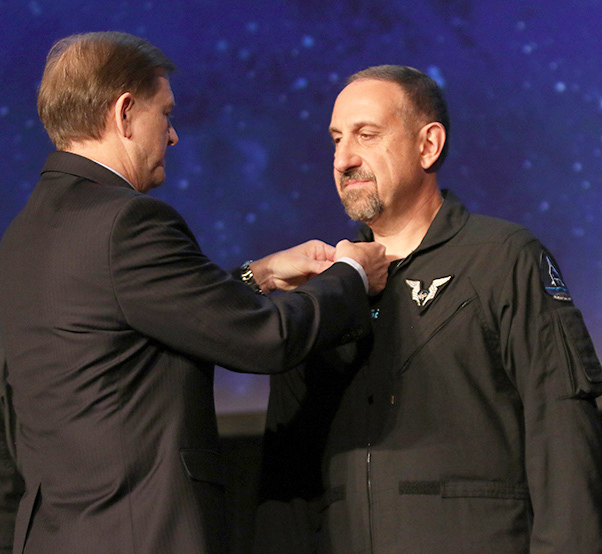 “It was an honor to receive my Commercial Astronaut Wings today. Since the flight we have been assessing the findings from my cabin evaluations; I’m excited by what the results are showing and looking forward to incorporating what we learnt into our cabin outfitting and astronaut training program,” she said. Sir Richard Branson sent a message of congratulations to the crew. Pilot Mike ‘Sooch’ Masucci receives his commercial astronaut wings from FAA’S Associate Administrator for the Office of Commercial Space Transportation, Wayne R. Monteith. 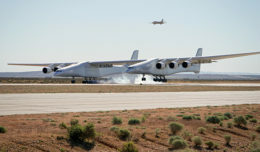 The Space Achievement Award will be presented to Branson at the closing dinner of the symposium, and has been awarded in recognition of the success of both crewed spaceflights, which were the first from U.S soil since the final space shuttle mission in 2011. 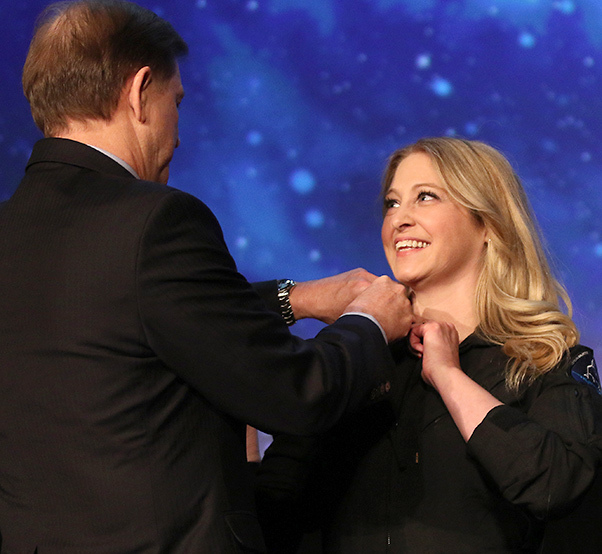 The first female to fly on a commercial spaceship, Beth Moses, receives her Commercial Astronaut Wings from FAA’S Associate Administrator for the Office of Commercial Space Transportation, Wayne R. Monteith.